But I know it’s one of those things where if I knew what I was missing, I would be devastated. And I know enough to know that I’m missing out on so much in life. I’ve never tried throwing paintballs, for example. I haven’t played a sport since I was 16—and even then, it was only for a year. I’ve never tried a martial art, I enjoy dancing on occasion but have never really learned how to do it well, and I would much rather lie around with a book than take a walk. I’ve always been that way; even during family trips—camping, reunions, whatever—I would bring a book. The other kids would bring bikes, fishing poles, and other playtime equipment; I brought stacks of books, or notebooks and pens, or drawing materials. I’m not saying that there is nothing wrong with these activities; on the contrary, they are so very worthwhile and awesome that I’d like to share them with everyone in the world. Earlier this week, I experienced a rare moment of epiphany—which has left me with some problems to solve. Though certainly grateful for the amazing realization (which should have seemed obvious to me—don’t we all look at our epiphanies and think, “Why didn’t I already know this?” Maybe we did but we just couldn’t admit it to ourselves…), I now feel like I need some help in acting on it. Maybe you have the answer I need. Do you stress over antioxidants, striving as hard as you can to incorporate superfoods into your diet? Do you work out every day, refrain from smoking and drinking too much—maybe enjoy a glass of wine a day for its health benefits—and try to be as healthy as you can, hoping to live to be 100? You still might not make it past 90, friend. Of course, you still could—and more power to you for trying! By living a healthy lifestyle, you’re probably happier and healthier anyway, so even if you don’t live to be a decade, you’ll still enjoy the years you are here (not to say you won’t if you don’t do those things, of course). ne is, by far, the most popular psychoactive compound consumed by humans. It exists in significant quantities in some of our favorite foods and beverages, including coffee, tea, chocolate and the soda-related kola nut. We've been downing the stuff since the Stone Age and today the average American adult consumes at least one caffeinated beverage a day. Caffeine isn't a particular dangerous substance, but it's not without its risks. It is a physically addictive stimulant that, when taken in sufficient quantities on a chronic basis, can lead to some pretty nasty health problems. There was a time when I consumed an unhealthy amount of caffeine every day and this led me to a struggle to curb my habit that lasted for two solid years. 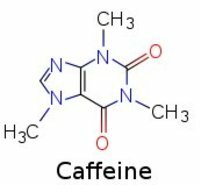 Here's the basic science and the subjective experience of caffeine addiction.